The Silk Roads were an interconnected web of routes linking the ancient societies of Asia, the Subcontinent, Central Asia, Western Asia, and the Near East, and contributed to the development of many of the world’s great civilizations. They represent one of the world’s preeminent long-distance communication networks stretching as the crow flies to around 7,500 km but extending to in excess of 35,000 km along specific routes. While some of these routes had been in use for millennia, by the 2nd century BC the volume of exchange had increased substantially, as had the long-distance trade between east and west in high-value goods, and the political, social and cultural impacts of these movements had far-reaching consequences upon all the societies that encountered them. The routes served principally to transfer raw materials, foodstuffs, and luxury goods. Some areas had a monopoly on certain materials or goods: notably China, who supplied Central Asia, the Subcontinent, West Asia and the Mediterranean world with silk. Many of the high-value trade goods were transported over vast distances – by pack animals and river craft – and probably by a string of different merchants. The Tian-shan corridor is one section or corridor of this extensive overall Silk Roads network. Extending across a distance of around 5,000 km, it encompassed a complex network of trade routes extending to some 8,700 km that developed to link Chang’an in central China with the heartland of Central Asia between the 2nd century BC and 1st century AD, when long-distance trade in high-value goods, particularly silk, started to expand between the Chinese and Roman Empires. It flourished between the 6th and 14th century AD and remained in use as a major trade route until the 16th century. 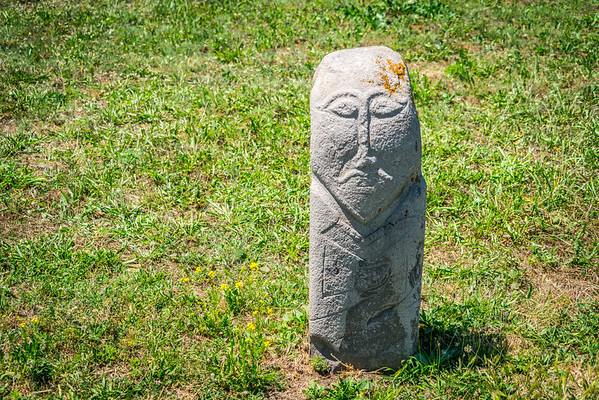 The Silk Roads world heritage sites is a serial site consisting of 35 different locations spread across three different countries: China, Kazakhstan, and Kyrgyzstan. 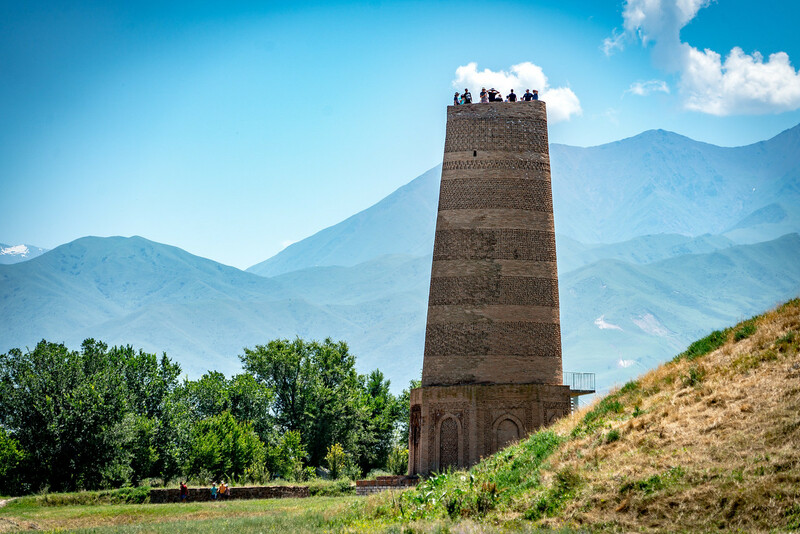 I visited the Burana Tower which was in the ancient, and near the current, city of Balasagun, Kyrgyzstan. Like most towers in Muslim lands, it served as a minaret for daily calls to prayer. 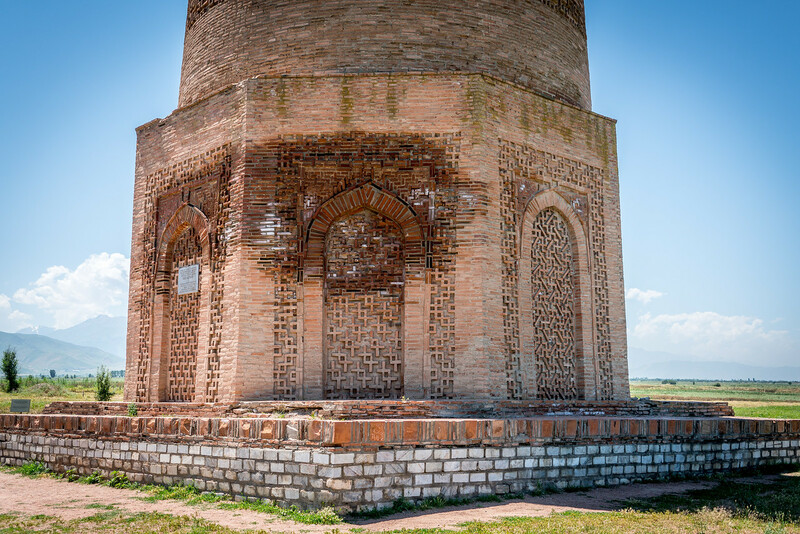 However, as it was an important stop on the silk road, it also served as a type of landlocked lighthouse. In the evenings a fire would burn on the top of the tower so caravans could see it from a distance. Today the tower is approximately half the height of the original tower which was reduced in size due to earthquakes. 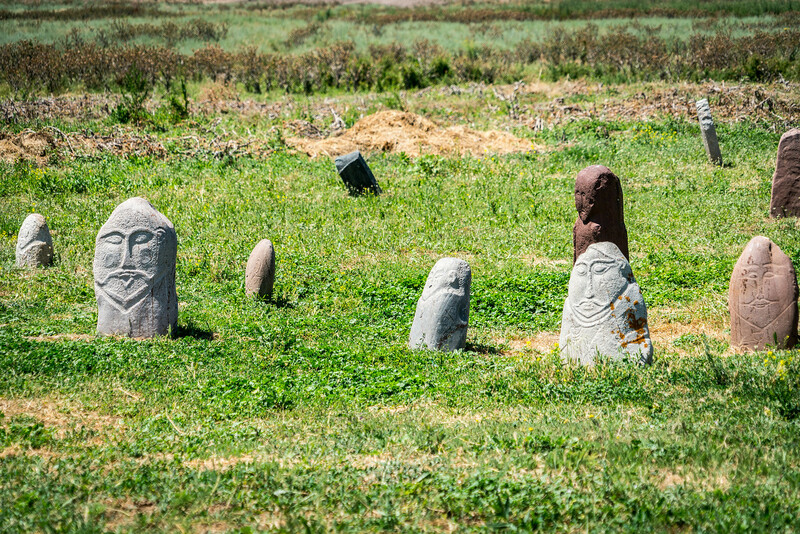 In addition to the tower, there is also a graveyard located containing Turkish headstones known as balbals. They are carved into the likeness of the person who was buried there. 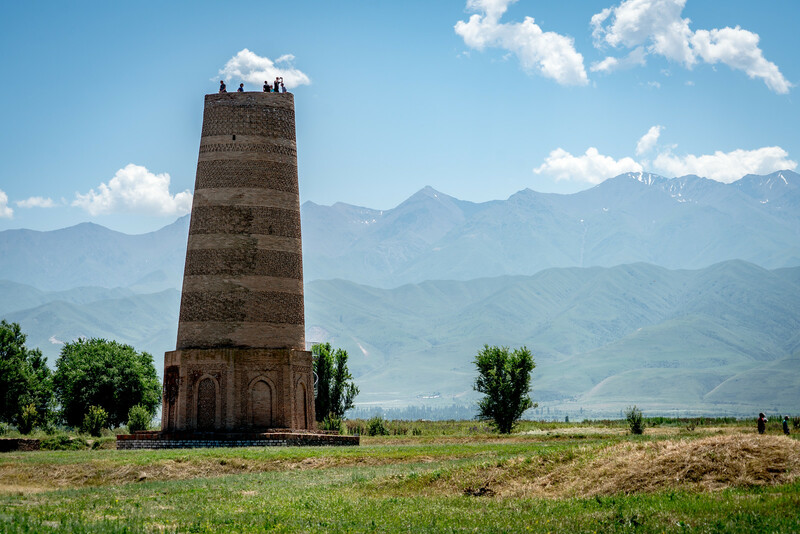 The Burana tower is located just outside the city of Tokmok, Kyrgyzstan. It is approximately 70km from the capital of Bishkek. 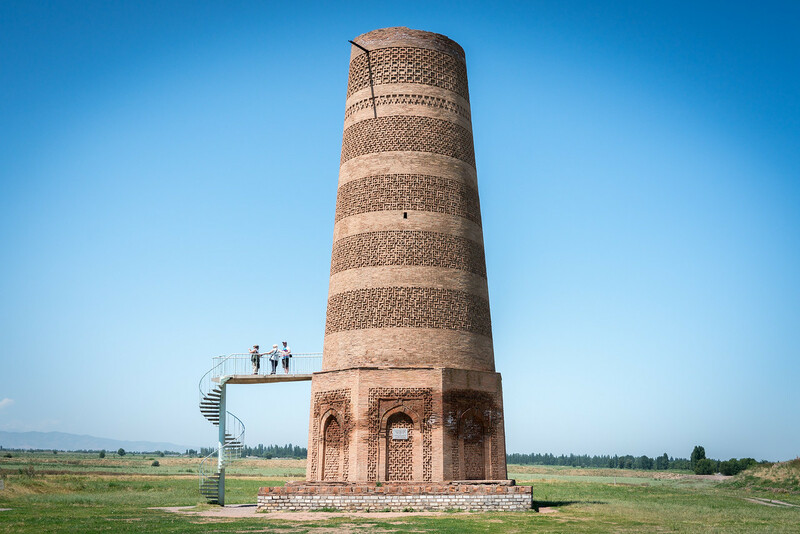 You can reach Tokmok by bus and then take a taxi to the Burana Tower. It can be visited as a day trip from Bishkek. The primary attraction is the tower itself. You can climb to the top of the tower via a very narrow and winding staircase. The staircase only has room for one person. The graveyard mentioned above is the other primary attraction of the site. There is also a small museum on the site which displays artifacts which have been excavated from the site. The Silk Roads: the Routes Network of Chang’an-Tianshan Corridor is a cultural UNESCO World Heritage Site. This is a transnational site belonging to the following countries: China, Kazakhstan, and Kyrgyzstan. This site was inscribed into the UNESCO list in 2014 due to the role it played in the transport and trade in the region. 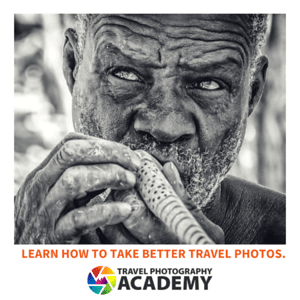 This trade heritage route spans a total length of 5,000 kilometers. It starts from the Chang’an region of central China towards the heartland of Central Asia. The Silk Roads as a culturally important trading route as it served to connect China with Europe. The trading activity within this route took place in the 2nd century BC and 1st century AD. The height of the trading activity took place in the 6th and 14th century AD. The Silk Roads: the Routes Network of Chang’an-Tianshan Corridor is a serial site consisting of 33 individual trading posts. All of these sites are spread out through China, Kyrgyzstan, and Kazakhstan. Of the 35 trading sites, a few of these are previously designated heritage sites. Hence, each of the individual sites included within this UNESCO list are all known for their historical and cultural value. The inquiry by UNESCO into these sites started in 2008. China submitted to UNESCO a tentative list of the sites for the Silk Road route. There were 48 sites that were taken into consideration for their cultural heritage. There were a few other countries that also submitted to UNESCO for the Silk Road sites including Iran, Turkmenistan, India, Kyrgyzstan, and Kazakhstan. However, due to the vast scale of the Silk Roads project, UNESCO proposed that the entire site will be divided into corridors. By 2011, three countries – China, Kazakhstan, and Kyrgyzstan – agreed to jointly submit their application for the corridor encompassing Central China and the Tianshan Range. The submission from these three countries finalized and submitted to UNESCO. The sites can be broken down as follows: 22 are from China, 8 are from Kazakhstan, and 3 are from Kyrgyzstan. China made revisions to their original application by pursuing this joint application for UNESCO with the two other countries. 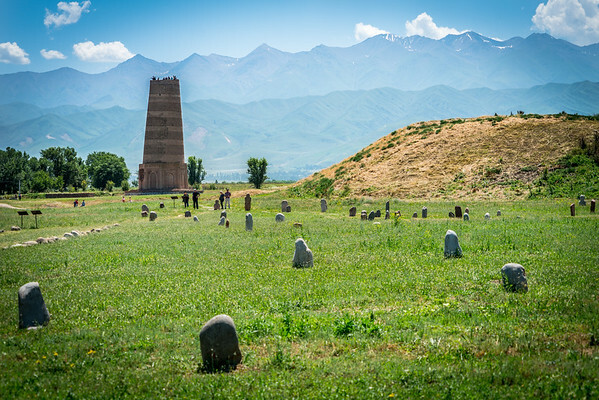 View the complete list of UNESCO World Heritage Sites in Kyrgyzstan.